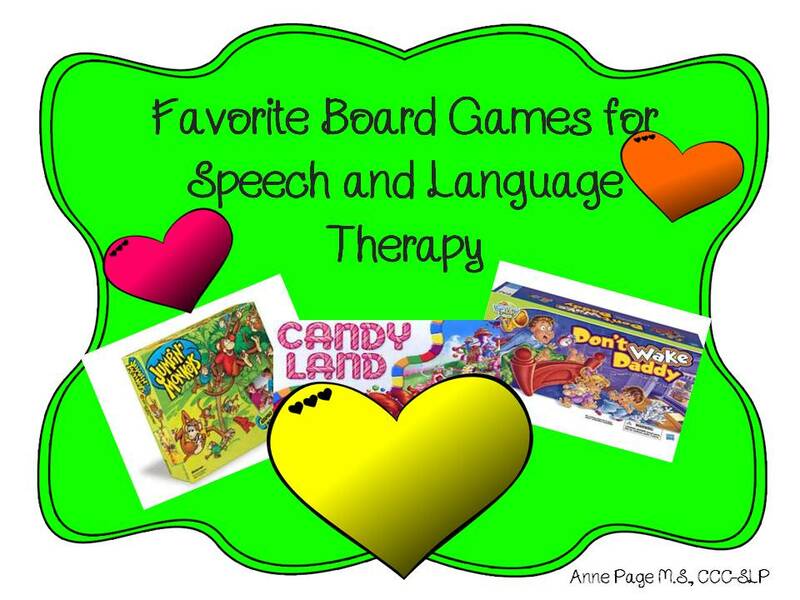 Kristen Cummings of the wonderful Simply Speech Blog, is hosting a linky party about board games for speech and language therapy. Click on the picture below to be sent to the linky party. 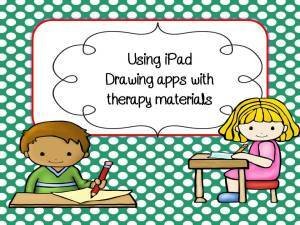 For those of you who are new to blogging, this is a great way to learn about new blogs and for SLPs to share ideas. 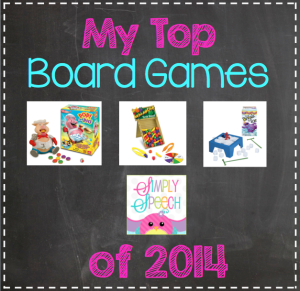 Board games are great for so many things and most kids love them! I like to use them for my groups. 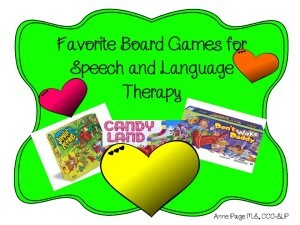 Great for teaching and reinforcing sportsmanship/social skills, board games keep therapy feeling like play. 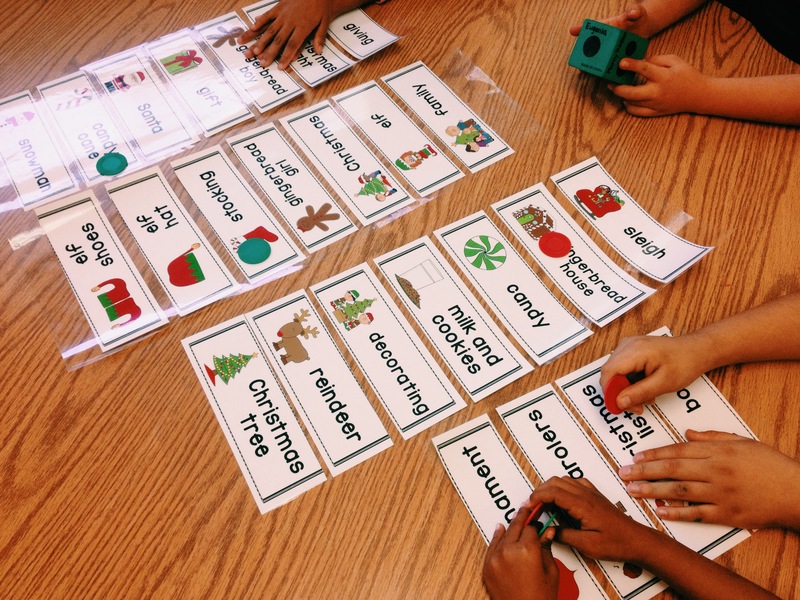 Students can work on their goals and keep it fun. Always a crowd pleaser for the little ones, it is a great introduction to board games, turntaking, following directions, color matching and learning to deal with disappointment (when they have to go backwords). Kids love to push the dice bubble and hear the noise it makes. 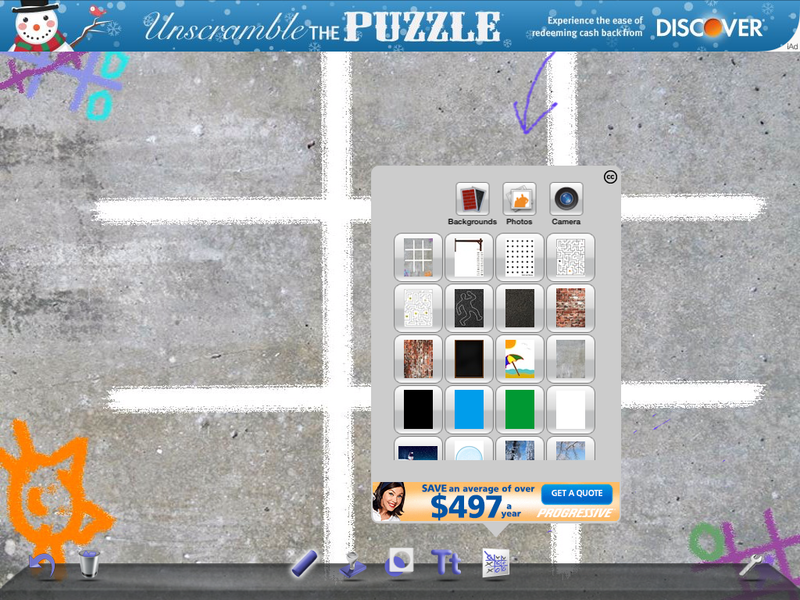 Usually, I play it with just two of the four game pieces for each player(because of time constraints). 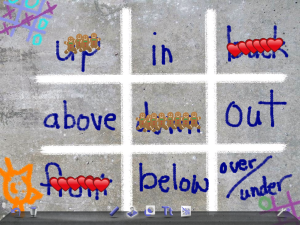 It’s great for artic practice, the student’s repetition of target corresponds with the number on the dice. Awsome for all ages. Sorry is another favorite. Like Trouble, it is fun for all ages. It’s good to teach sportsmanship and critical thinking skills. 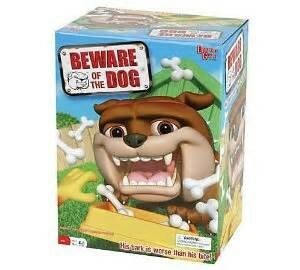 My kids go crazy for this game! I use it as a reward game to keep the novelty going. They get so excited with the anticipation of the “Dad” waking up. The noise can be too scary for some primary students and some kids that are on the Autism Spectrum. I always demonstrate the first time and if they are scared, we move on to something else. Here’s another one kids love! This is technically not a board game, but it’s great fun for those days when the kids are having trouble sitting still (like during pre-holiday weeks). It’s great for drill. 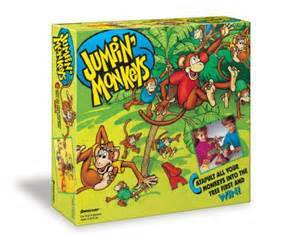 Here’s a tip to help with focusing skills: don’t hand out the Jumping Monkeys all at once. 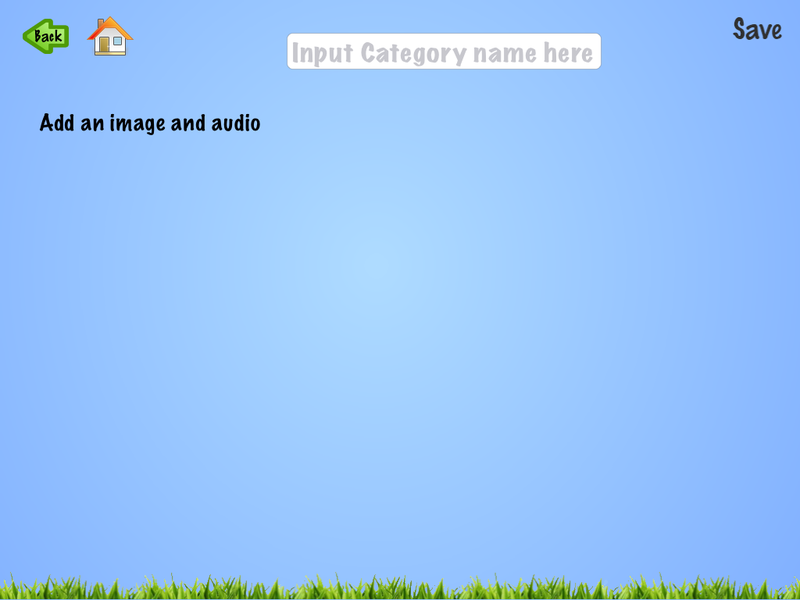 Taking turns, give two monkeys to a player after he has completed his speech target, then he can shoot. Otherwise, the kids don’t pay attention, they are so busy playing with the monkeys while they are waiting for their turn. This is another fun anticipatory game along the lines of Don’t Wake Daddy. Players have to try to sneak the plastic bones out of the dog dish while he is “sleeping”. The dog snores while he sleeps, if you press down too hard while grabbing a bone, he jumps forward and barks. Again, this is usually too scary for the little ones. I don’t like the cat claw tweezers, we just use our fingers. Such a fun game for the holidays. 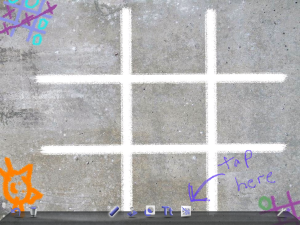 I had the original version which has little Charlie Brown, Lucy, Linus and Snoopy figures to use for pawns. It also had a little battery operated Christmas tree that the winner gets to light (unfortunately broken now). Kids have to collect ornaments, candy canes and presents. Beautiful Speech Life is a participant in the Amazon Services LLC Associates Program, an affiliate advertising program designed to provide a means for sites to earn advertising fees by advertising and linking to amazon.com. I put the links in for your convenience. Board games are definitely our friends! I bought the more expensive ones on sale. GoodWill can be a great source for board games too, you just have to make sure all the pieces are there. What are your favorites? I am always looking for a new classic! 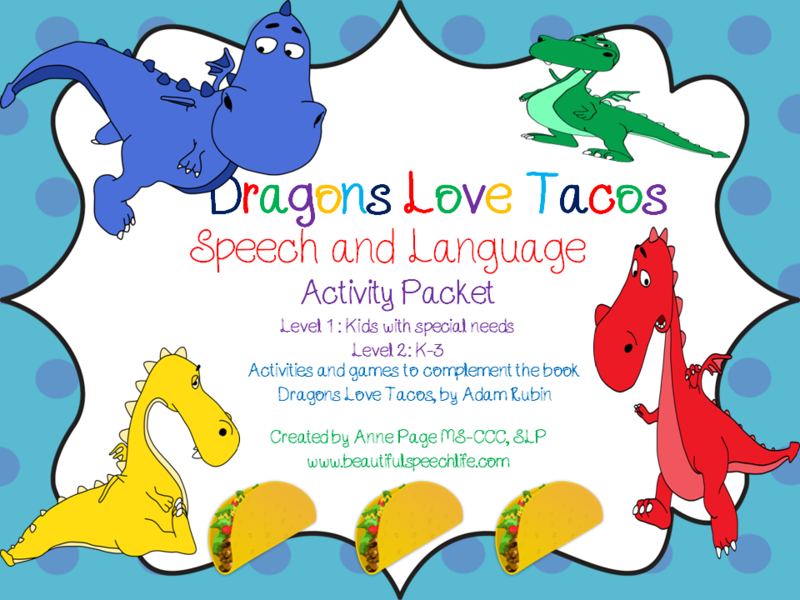 This packet contains games and activities to support the book Dragons Love Tacos by Adam Rubin. The book is instantly engaging using humor and fun illustrations. I have been trying this out for the last two weeks with great success. 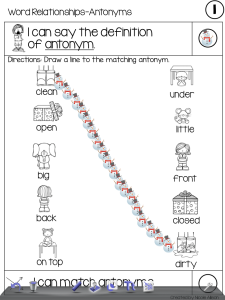 The kids love the story and are able to remember details. 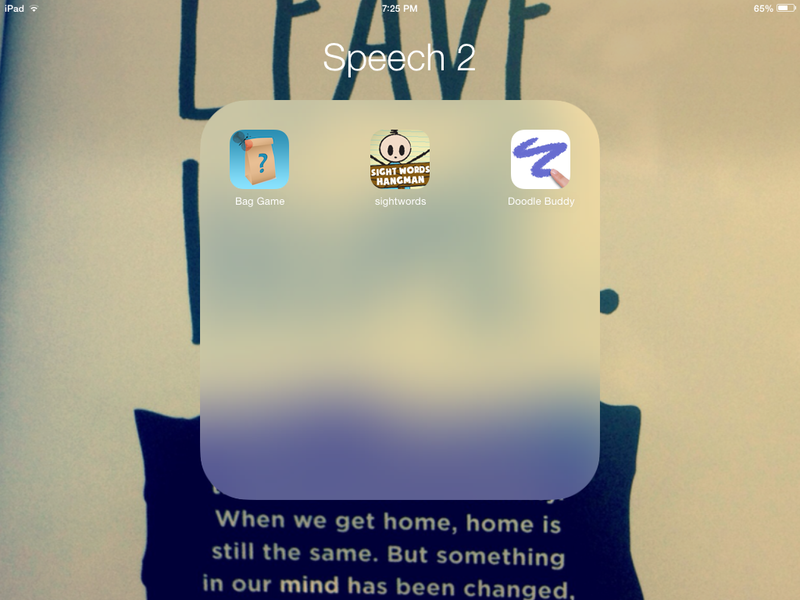 Using puppets and the games/cards from the activity has been a great combination. 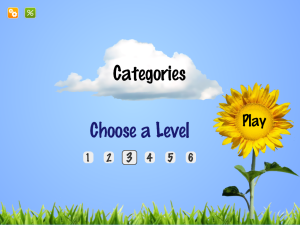 The Activity Pack, available on TeachersPayTeachers contains two levels. Level 1 is designed primarily for kids with special needs. These are kids who are working on using longer sentences, who are learning spatial concepts and who are learning to answer “wh” questions. I made some of the materials in a large size to accommodate visual impairments and to facilitate focus (larger is easier ). 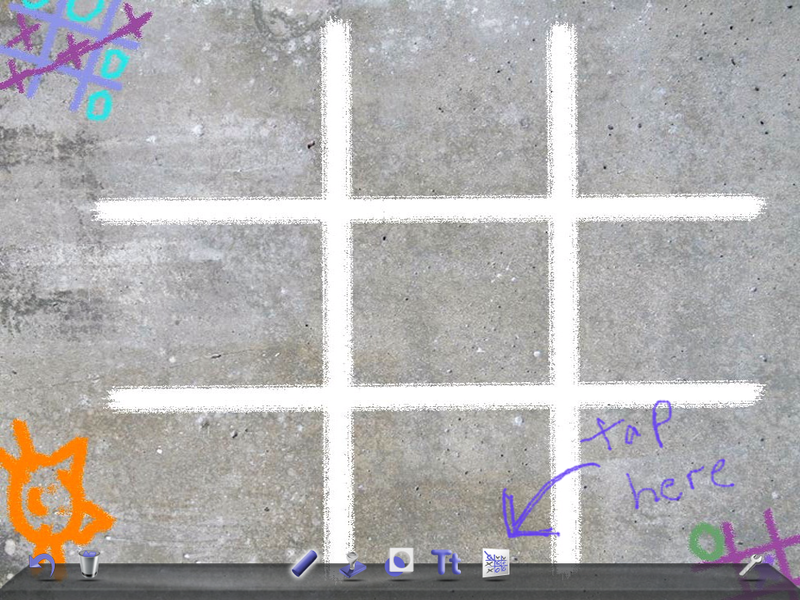 I also kept the graphics very clean and simple. 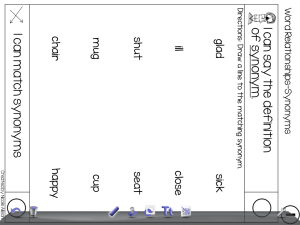 The vocabulary in Level 2 (for Kindergarten to 4th grade) includes card for definitions, synonyms, antonyms. Just cut out these cards and use them during a simple board game. I just give the kids a taco card for each correct answer. 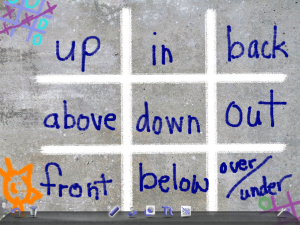 Level 1 also includes positional words (spatial concepts): These concepts can be really difficult to grasp. I made the images large (a full sheet). Concepts included are behind, in front, on (because it’s easy) and under. Hold up the card and say “Where is the taco?” If correct, give student a taco card to hold. Use the sheets to cue for Taco Bingo if needed. Bingo sheets are included. Sometimes bingo chips are too hard for the kids to grasp; try plastic water bottle tops or pompoms. For both Level 1 and 2, there are “Wh Questions”. I created some visuals to help with the “wh” questions. 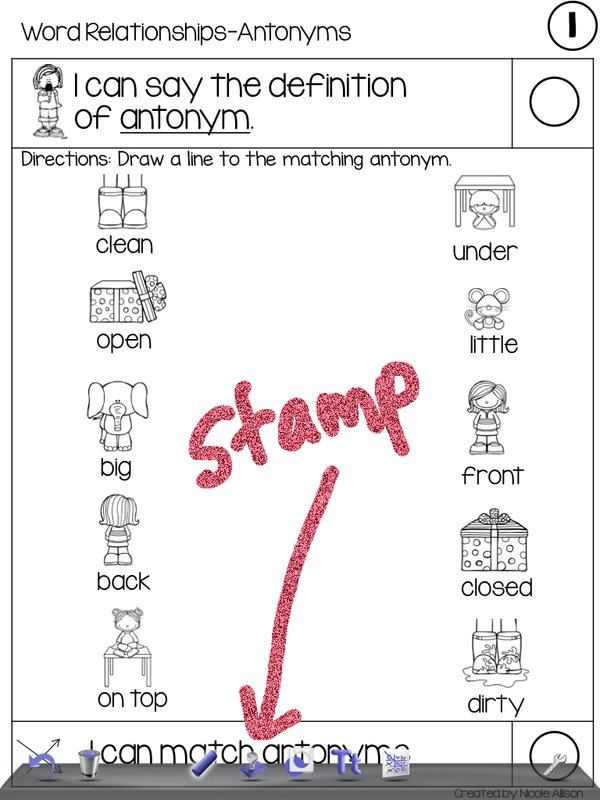 The picture sheet is for use in cuing and for kids that are less verbal. 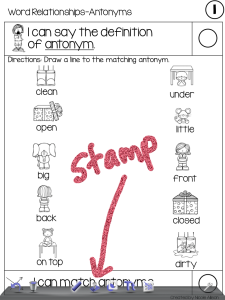 The “wh” question cards are for use with the students that are able to answer questions but are still working on knowing the difference between a “who” question and a “where” question. 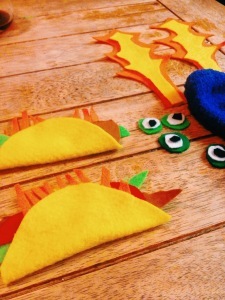 Kids are given a taco card for a correct answer, they like seeing who can get the most tacos! I hope you have as much fun with this as we have! 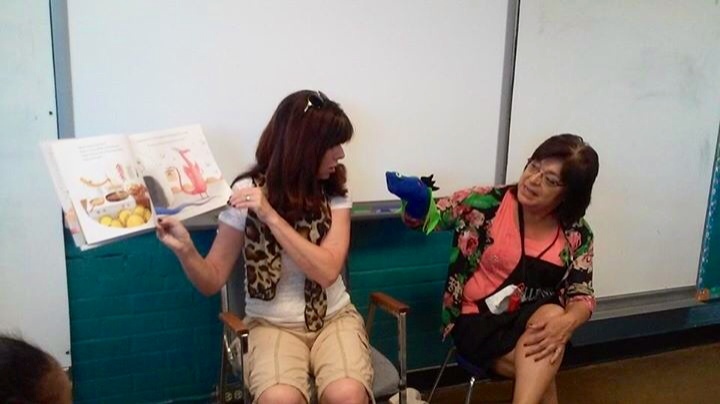 I look for ways to make the story come alive for students that are working on very basic communication skills. 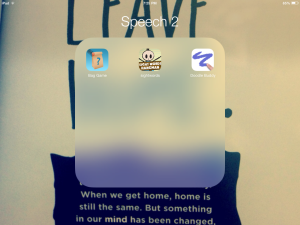 Visuals, sound effects, and a crazy enthusiastic reader (me) are all strategies that work! I don’t read at them, I include them in the story by getting them excited. 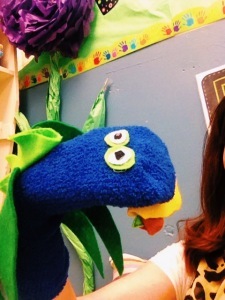 This year I have a couple of student that respond really well to puppets. So I decided to make some puppets and “props” to help support the story in Dragons Love Tacos. These sock puppets were sooo easy to make! I bought a really soft pair of socks from Target (the kids love the feel of these) and some felt sheets. It was really simple to make some wings and hot glue them to the socks. 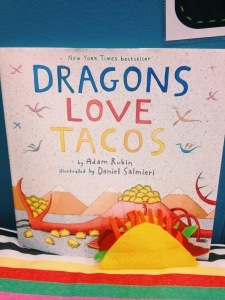 My husband helped me, and we made a stream of fire, and some fun little tacos for the dragons to eat. 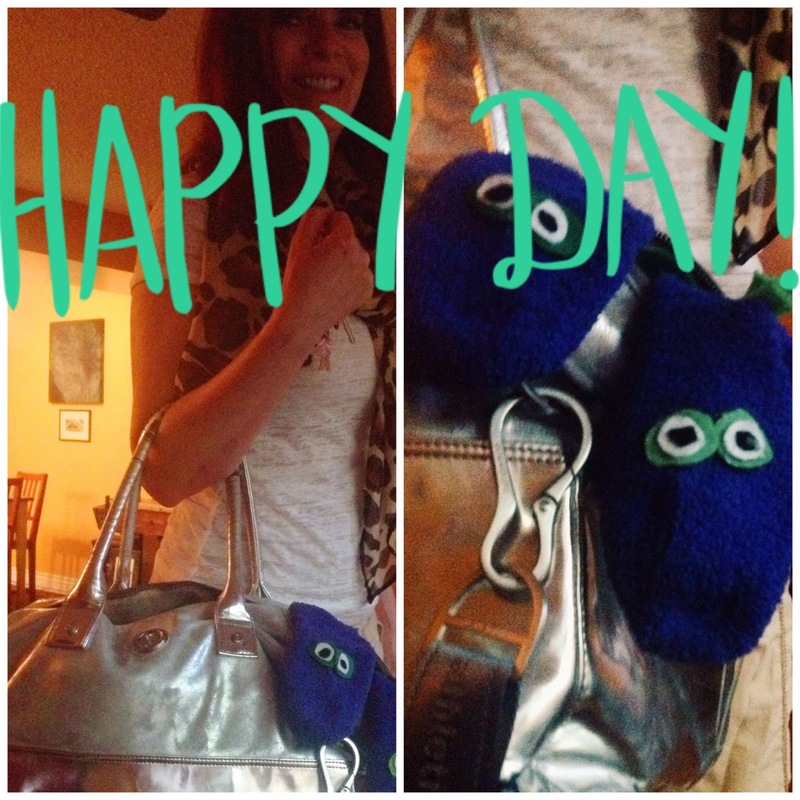 When the puppets talk to the kids, the kids are sometimes more responsive. The puppet can ask them yes/no questions, “what’s your name?”, and ask them questions about the story. It’s just so much fun! I really encourage you to try it. 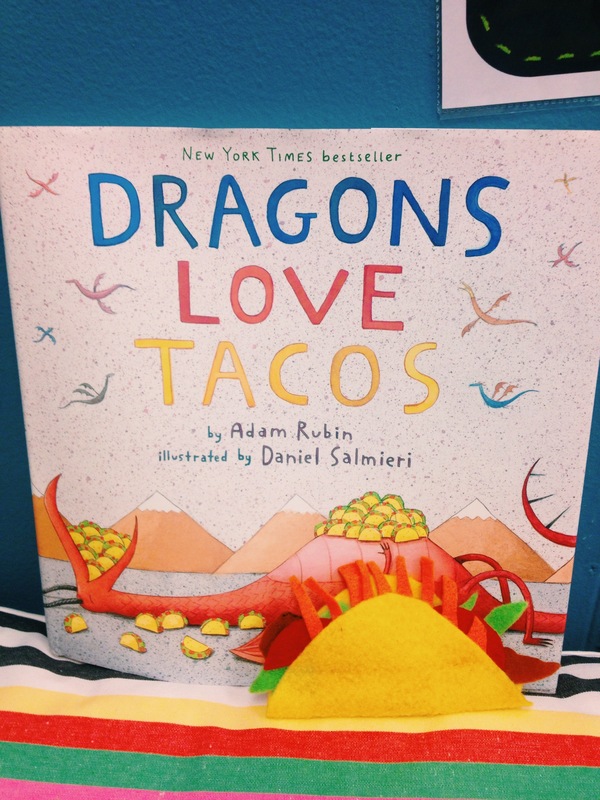 Watch for my Dragons Love Tacos book companion COMING SOON! I don’t know about you but I am really excited about the release of the new Iphone 6. I am trying to decide if I want to order it, or wait to go buy it in the store. 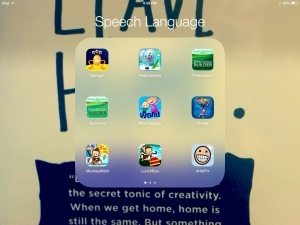 I love technology and the iPad is an incredible tool to use in speech and language therapy. 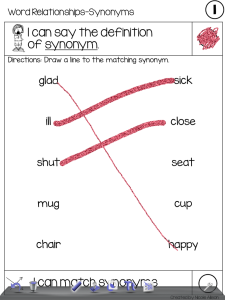 I have been using the app called “Word SLaPps Vocabulary by Zorten Software, LLC” for a couple of years. 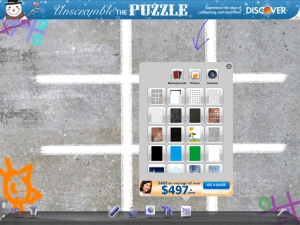 It is amazing because you can customize it with your own photos and it has a voice recording feature. I have used it in a multitude of ways. 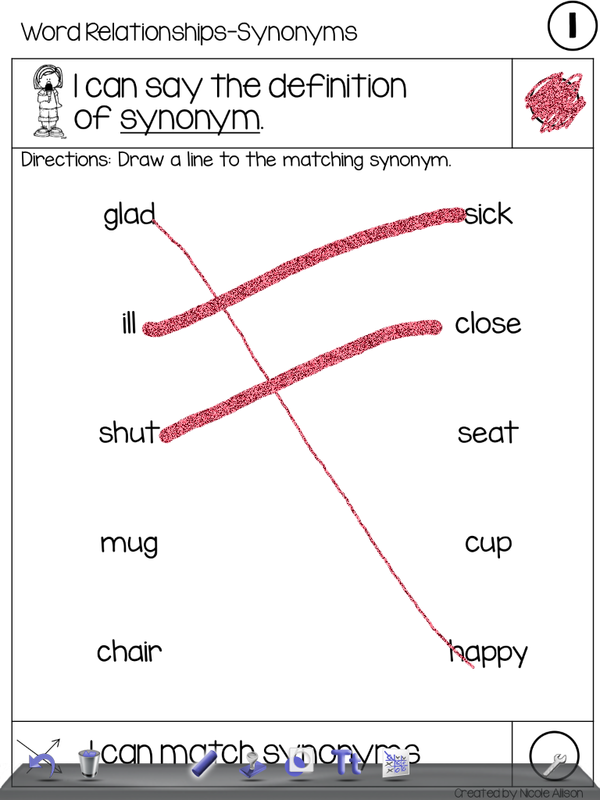 Word SLaPps also comes with two preprogrammed categories, one for animals and one for colors. 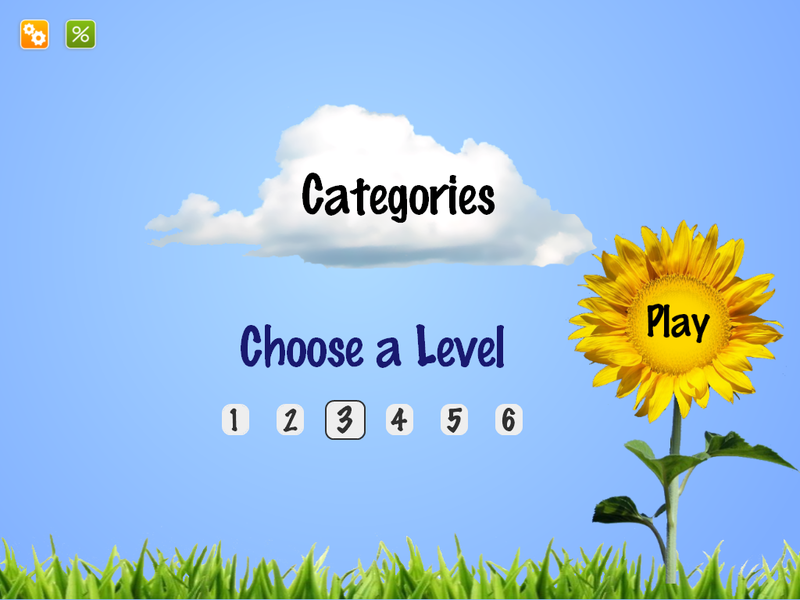 You have the option to choose the number of turns per game (5, 10 or 15). It is great for small group work. 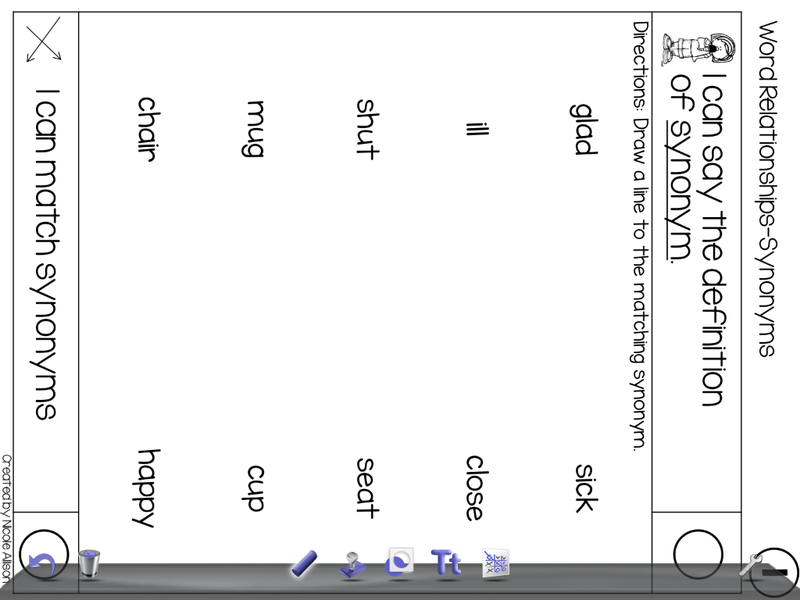 Basically, it is great for teaching receptive vocabulary. We have a little farm at our school (I know, lucky us). Part of my caseload includes three classrooms of students with special needs such as autism, Down Syndrome and cognitive impairments. 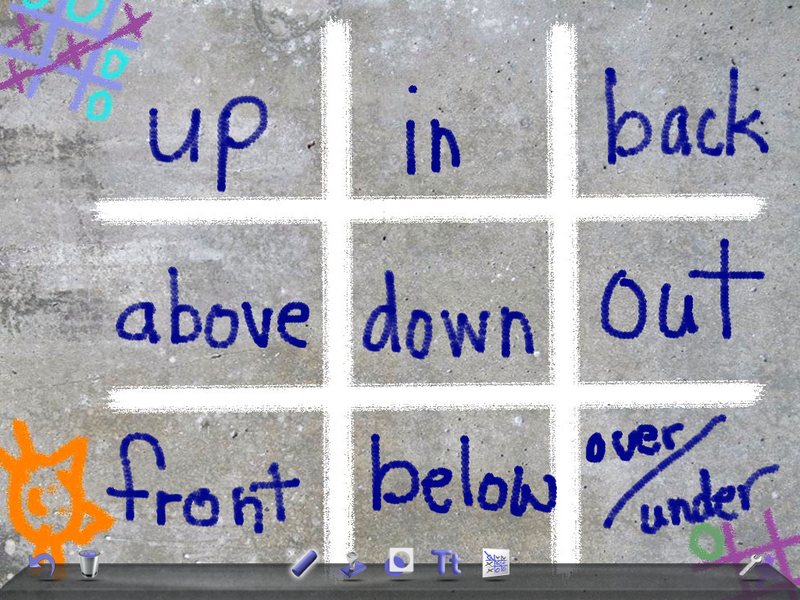 Learning vocabulary across a multitude of settings and exposures is so important. So, I took pictures of our farm animals and used them for Word Slapps. 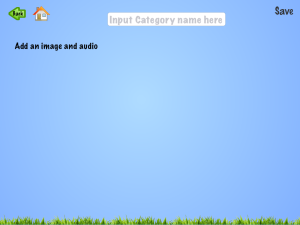 You choose if you want 1 to 6 pictures to show on the screen. In this example, I chose 3. 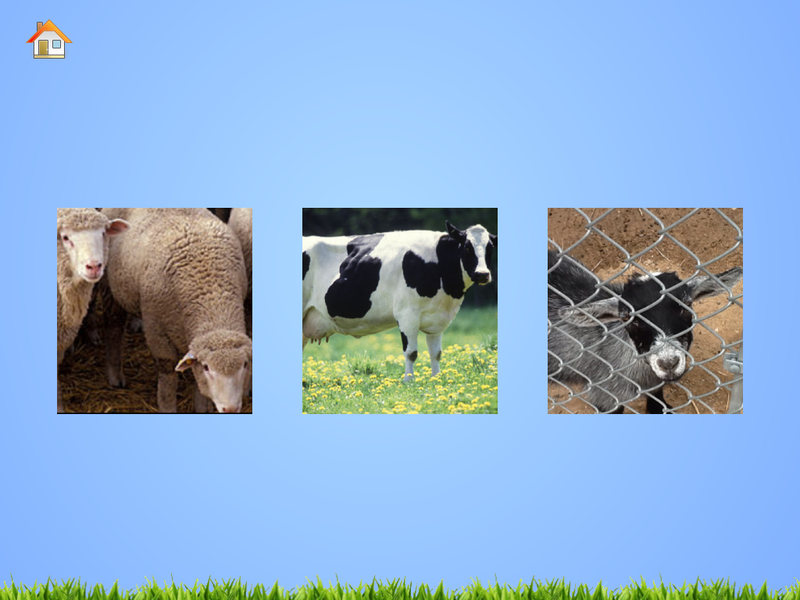 The three pictures show up and your voice says an animal name. The child touches one of the pictures. If correct, the photo spins and makes a fun noise that the kids like. If they choose the wrong photo, a black X covers it. 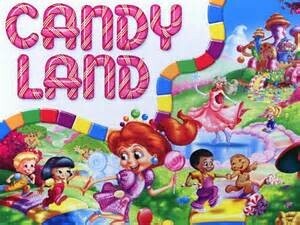 Once the amount of turns you chose is completed, some animated kids jump up and down and say yay! 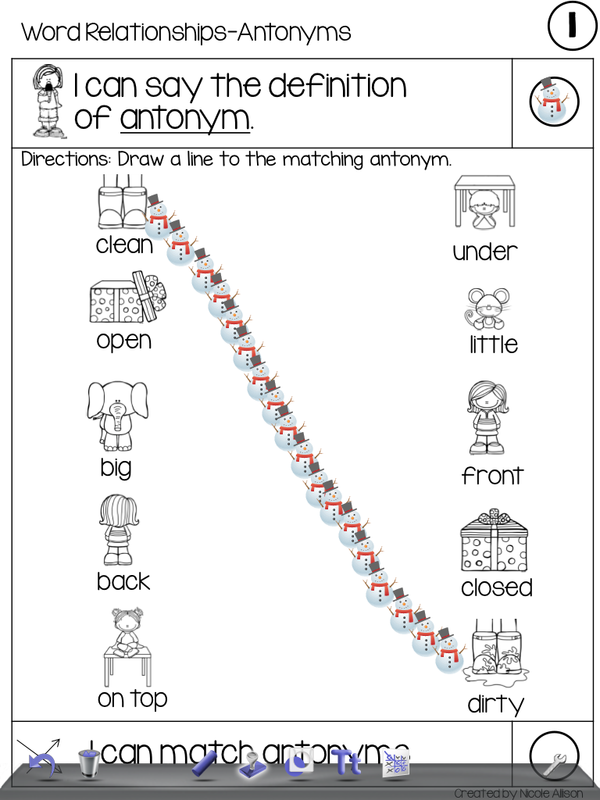 I have also used this to help the kids learn their classmate’s names. 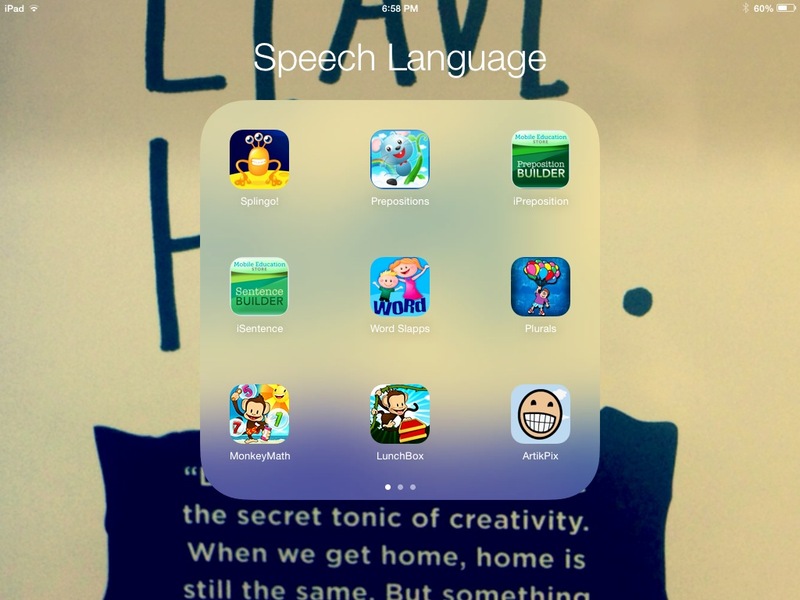 I have also used it for older kids to help them learn difficult vocabulary. 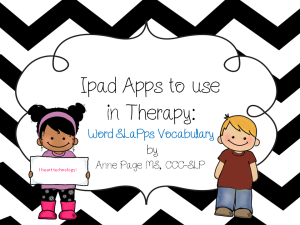 Once you input the words (Go to settings, Edit/Add Content, Your Folders, Add category, then type in your word). You can then search for an image online. 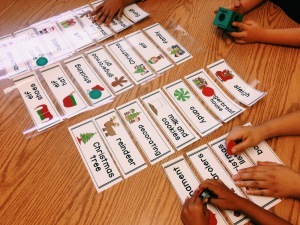 I let the students help me choose the image that most reflects the word for them. Then you can add audio. Again, I let the students record their voice. 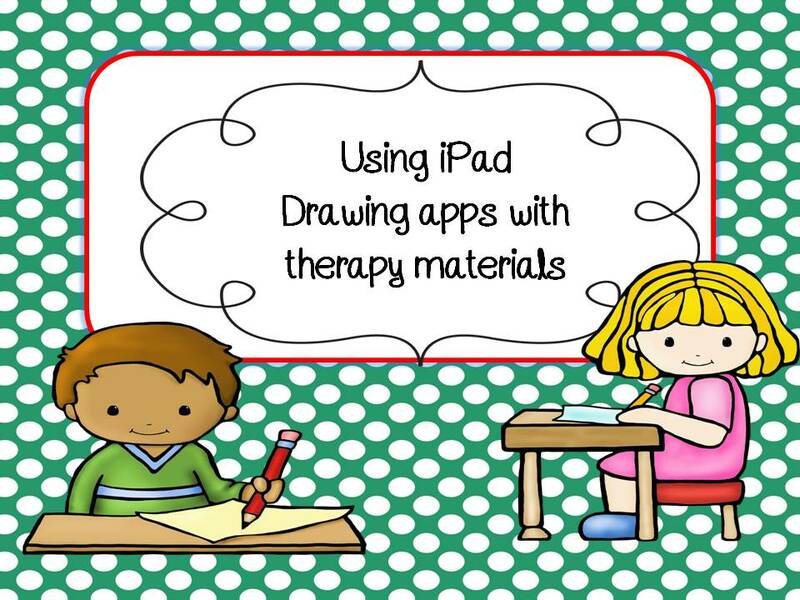 This is so great because it uses multimodalities and the kids are in on the creation of the game. 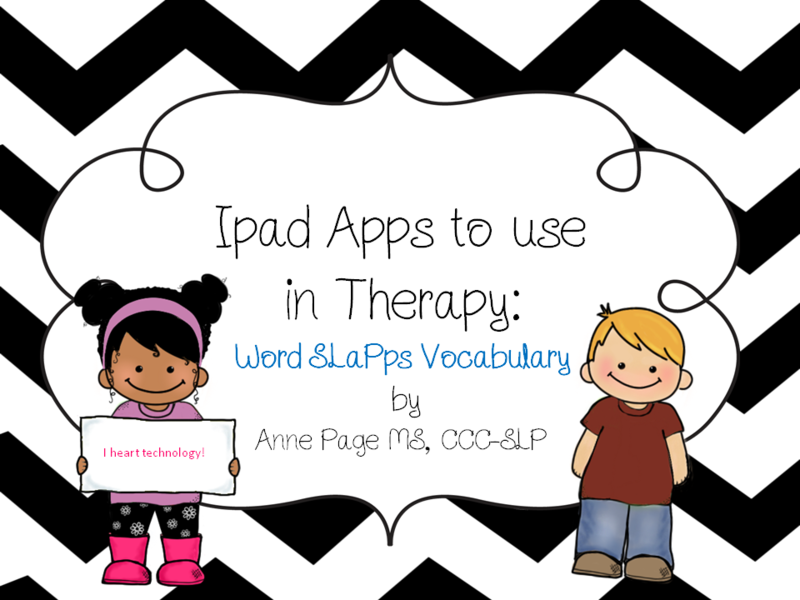 For your convenience here is a link to more information https://itunes.apple.com/us/app/word-slapps-vocabulary/id413888079?mt=8 I have no affiliation to Word Slapps, I am just a fan. The best part is the price, just $4.99. If you try it, let me know what you think!